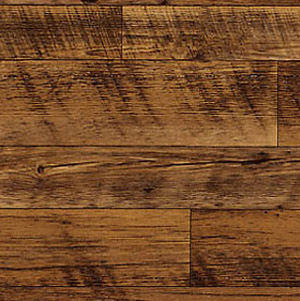 In the world of vinyl flooring, one measurement sets us worlds apart. 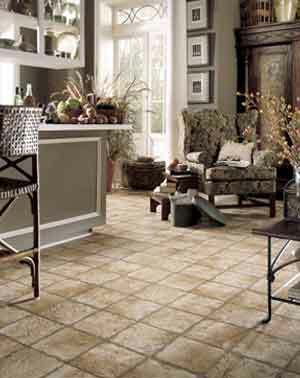 Welcome to Baker Bros. and the world of vinyl flooring. We also feature luxury vinyl tile and luxury vinyl plank. 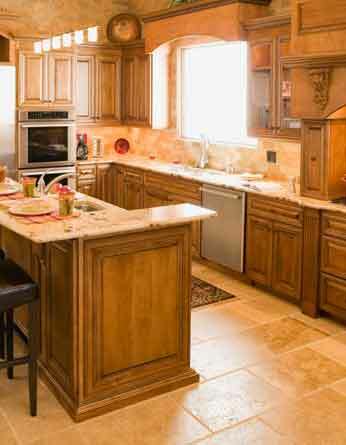 New luxury vinyl features vinyl that looks like wood, vinyl that looks like stone, and vinyl that looks like tile. We also carry only the highest quality, most trusted brands in resilient/vinyl flooring, including the state of the art Stainmaster resilent/vinyl product assortment. It starts right here, right now. In the sections that follow you can trust us to share all we know about resilient/vinyl flooring. So please continue. LVT has all the advantages of vinyl, is available in a wide array of colors and can look good anywhere. Spare luxury vinyl tiles can be kept on hand to repair worn areas, and the LVT format opens up unlimited possibilities for creating your own unique patterns. Thanks to some great advances in styling and technology, vinyl floors have been changed forever. While linoleum is enjoying somewhat of a renaissance, the most popular floor covering material in this category is luxury vinyl tile and plank. New luxury vinyl features vinyl that looks like wood, vinyl that looks like stone, and vinyl that looks like tile.